Everything But The Kitchen Sink: Oxford Street Mania! Oxford Street is one of the best places to shop for high street bands, they're everywhere! And I can guarantee you'll find something you'll love! So I just thought I'd post a few of my buys! This dress would be perfect for wearing over a bikini in the summer or for lounging around in the park, it has a slit in the back which makes it extra cool! 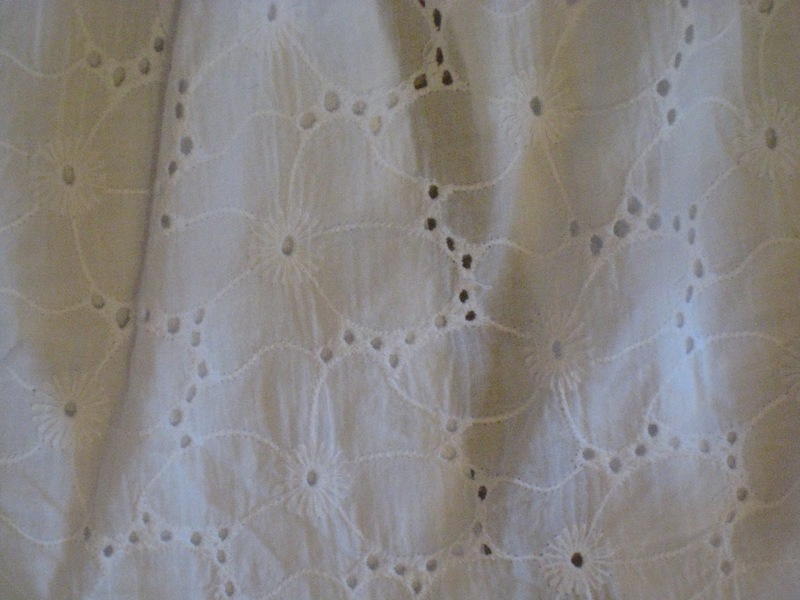 The flower print is on the top half of the dress and just adds a slight bit of detail. Great for the beach! 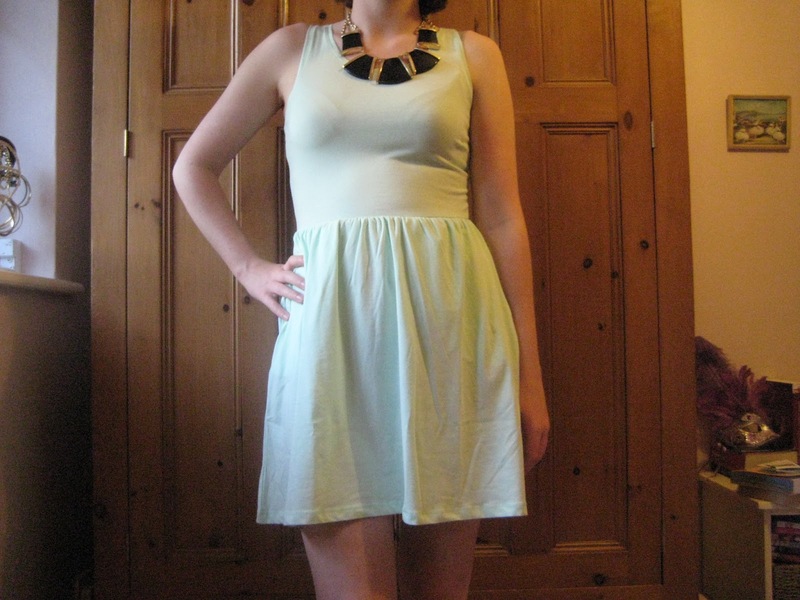 I love this mint green dress! I thought at first it may be a bit too bright and look slightly luminous but after trying it on I like the simplicity of it and that fact that I can jazz it up with statement jewellery like the necklace. 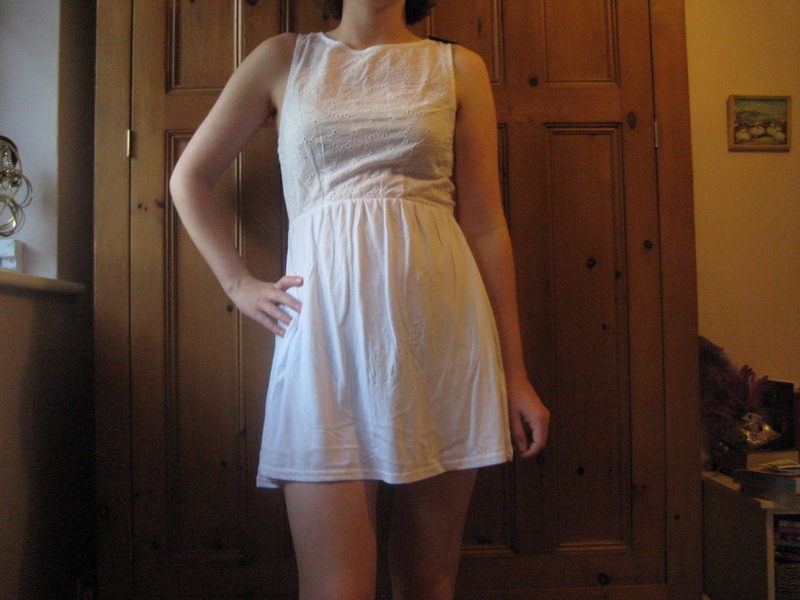 It's great for sixth form because it's comfortable and not too short! 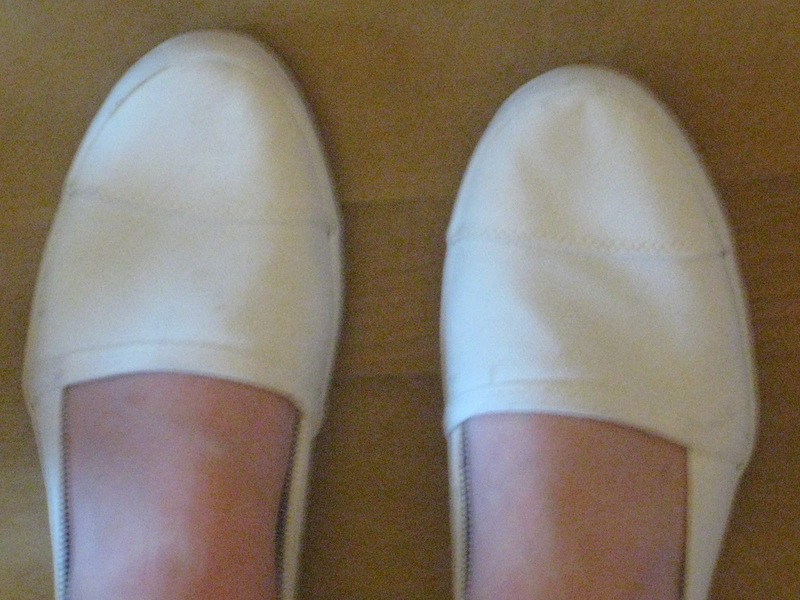 I'll probably team it with tights and pumps when it's cold then sandals in the summer. My favourite purchase!! 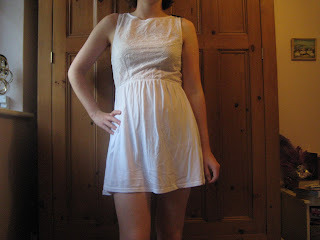 I am absolutely in love with this dress! 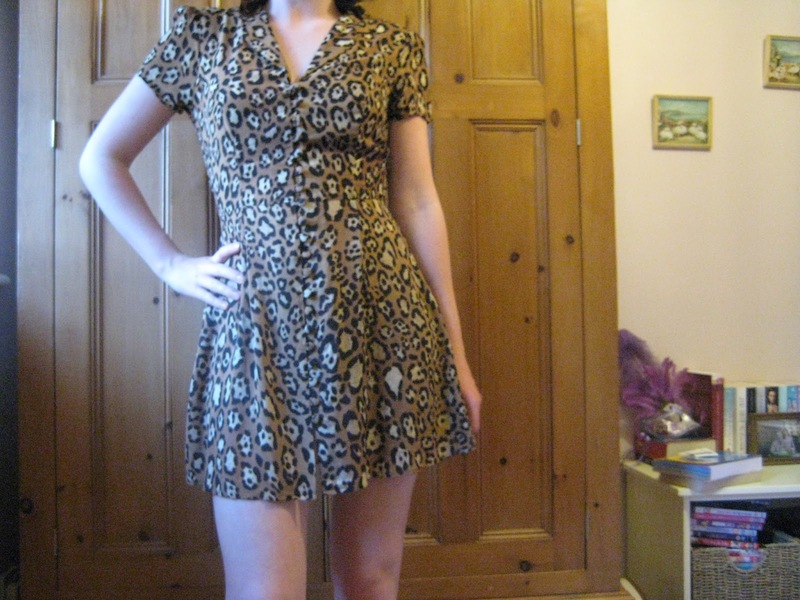 At first I was a bit weary about trying it on, thinking the print was a bit too out there for me but then soon fell in love with it! 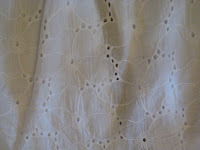 I find it difficult to find dresses which suit my frame (plus I am a bit picky!) 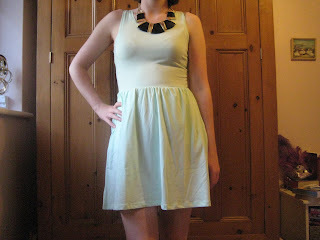 so a V-neck style which nips in at the waist is a great style for me! 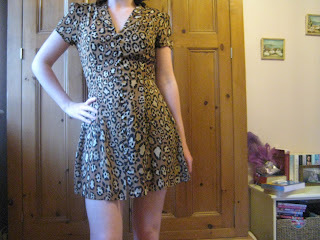 I'll wear this in the summer with maybe trainers or sandals, then with thick tights and boots in the winter! As the summer has come around so quickly this year I've been rushing to get new sandals because most of mine are either broken or a bit worn out now. 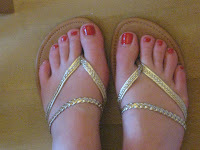 I did have some similar gold sandals from Primark last year which had lasted me for a while until the sole came off! I found the Aztec print sandals in Forever 21, another favourite shop to go to in Oxford street! 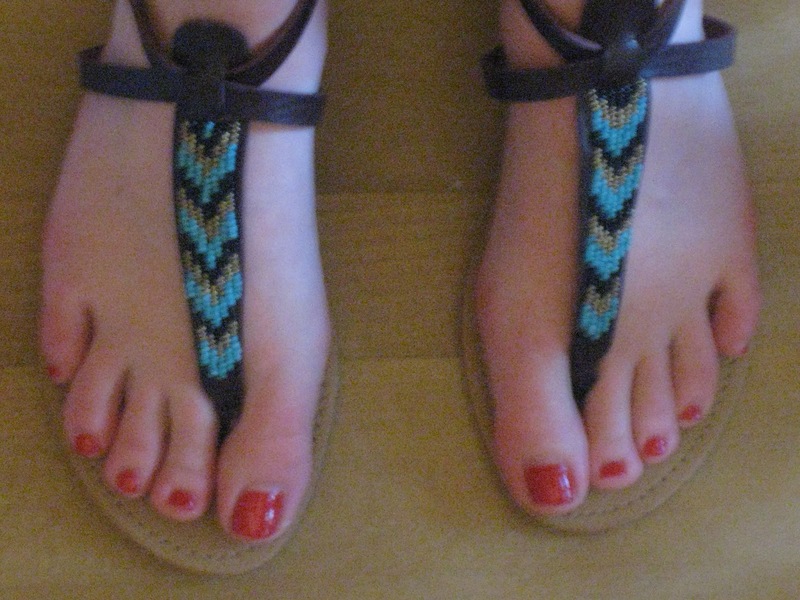 The prices and quality of clothes are so good there and I adore all the jewellery there (I purchased a pair of blue beaded hoop earrings for the summer) and these sandals will be brilliant for keeping my feet cool and comfortable whilst stylish! 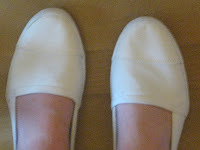 The white plimsolls from New Look I've been hesitating about for a while, but I decided to go for it and get them because I can alternate between them and my trainers for a causal and easy to where shoe. Phew!! After all that shopping I was totally cream-crackered! As always let me know what you guys think and feel free to comment on any of the posts!